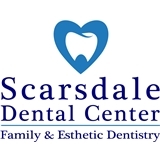 Scarsdale Dental Center (Scarsdale) - Book Appointment Online! Dr. Jeff Suh is a general dentist, who is very passionate about the profession and is continuously striving for the highest level of patient care and comfort. He provides comprehensive dental care with a focus on prevention, integrity and best practice. With this emphasis, he enjoys educating patients on the importance of their oral health. My experience with Dr. Suh was fantastic! Very clean office. Super friendly office staff. State of the art facility. The Hygienist was very sweet and careful. Dr. Suh was very professional, yet he had a great sense of humor which calmed my nerves. He was very clear in his explanations and made sure I was ok while he was working on my teeth. I would recommend him highly!